As I've gotten older I've most definitely noticed a change in the condition of my hair. Slow down in growth, quite drastically actually, thinning, breakage and more split ends. The slow down in growth I've really noticed over the last 4/5 years, it just doesn't to want to grow at all and I don't like. It's true that as we age our hair goes through changes once we hit the 40 mark and hair growth basically slows down as it spends more time in the resting phase rather than the growth phase. It becomes thinner and most people suffer hair loss, not drastic but noticeable in the shower and on the hairbrush. So, when the lovely people at Follione got in touch to ask if I'd like to try their products, I said YES. Let's start with the liquid hair nutrition. A complete liquid supplement without having to pop any pills for anyone wanting longer, thicker hair. By the way you don't have to be 40 plus to take it!! Taken once a day, either on its own or in other liquids this will help to give your hair the essential vitamins, amino acids and minerals it needs. It tastes okay so I take it on its own, it says it has a strong orange flavour, although I'd say it's more mango-ish! It does leave quite a bitter aftertaste though so I have it just before I brush my teeth. Another thing to warn you about is that it sends your wee bright yellow/orange but that's okay, don't worry! The anti hair loss shampoo stimulates hair growth and helps in preventing hair loss. It's also said to help with an itchy, flaking scalp which I can't comment on as I don't suffer with that. The ingredients list orange oil but if I'm honest that doesn't come through very much for me. I'm struggling to describe the fragrance to you, it's quite a strong smell but not unpleasant in any way. The issue I do have it that it's really thin and runny, so if you're not quick you'll loose it out your hands in no time with nothing left to put on your hair! You could pour straight from the bottle onto the top of your head but then you have no idea how much you're using so I stick with putting it in my hands first. This does not lather up, it's not like your regular shampoo. You need to wash with this and then condition as normal. I've actually been washing with this, then doing a quick wash with my regular shampoo, then conditioner. I'm not sure if you're supposed to do that but it's been working for me. The growth stimulator smells the most chemically of the three and the one I get on with the least. Sorry but I have to be honest. It's not because of the smell but more the application. This comes with a sprayer or dropper and you basically apply to the areas experiencing hair loss. I've not experienced great hair loss, just breakage and thinning and mainly a slow down in growth as I've said so I just apply to the middle of my scalp area. You're supposed to do this twice a day but I find it leaves my hair looking a little greasy for at least half an hour and you can tell its got product in it. I mean the evening's not so bad but not a great one for the day and I don't have the time to wait for it to dry and look acceptable to go out, so this one's not really for me. It's hard for me to comment honestly on the growth stimulator as I really haven't used it enough to see any results but I'm pleased with the liquid nutrition and the shampoo. 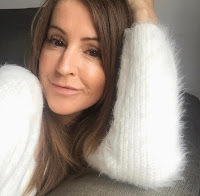 Whilst I haven't seen any major difference in growth I can tell you that my hair appears to be thicker and in much better condition than it was before I started using these products! I know we're all different and age plays a big part, so if you're younger you'll probably see quicker results and more hair growth than if you're in your 40's but I'm happy with the changes that I can see so far. I'm not far into the programme so I'll probably see the growth more in the next few weeks. Follione are offering a giveaway prize to one of my readers, the choice of two products from the Follione range. Entry details are below and the giveaway ends on 5th January when Follione will contact the winner.